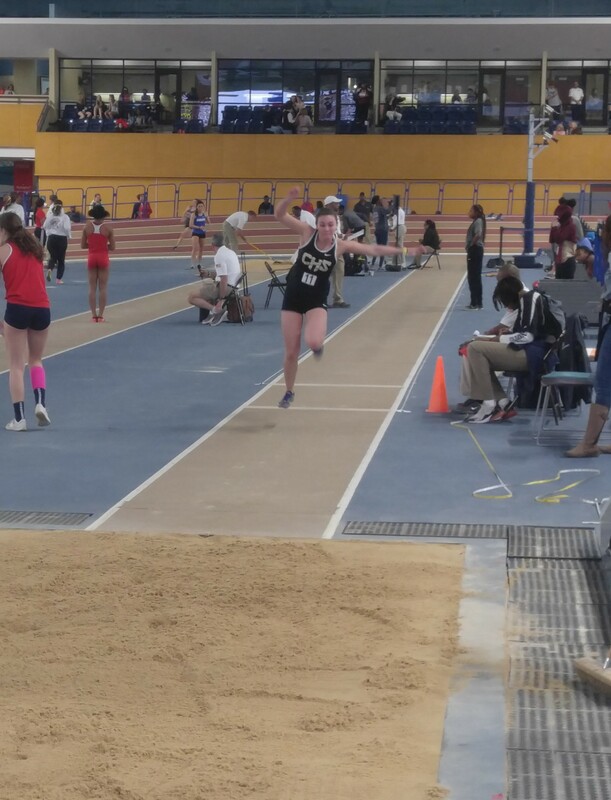 BIRMINGHAM – The AHSAA’s 49th State Indoor Track Championships got underway last Friday at the Birmingham CrossPlex and several schools from Cullman County competed including Cold Springs, Cullman, Hanceville, St. Bernard, Meek and West Point. A pair of silver medals went home with two local teams; Cullman’s Caroline Hollingsworth finished second in the 6A girls' high jump after recording a 5-4, and Cold Springs’ 1A-3A boys' 4×800 meter relay team placed second after posting a time of 8:52.50. The relay team is made up of Trentan Williams, Seth Walker, Cole Akridge and Will Grimmett. Williams took home a bronze medal individually with a 2:05.56 in the 800-meter run. Cullman’s Jorryn Barnette 25th in the girls' 6A 400-meter dash with a time of 1:06.21. Cullman’s boys' 4×800-meter relay team placed 5th with a time of 8:46.18. Cullman’s girls' 4×800-meter relay team placed 5th with a time of 10:35.76. Cullman’s Colton Smith 5th in the boys' 6A high jump with a height of 6-04.00. Cullman’s Caroline Hollingsworth 2nd in the girls' 6A high jump with a height of 5-04.00. Cullman’s Ragan Canter 14th in the girls' 6A shot put with a distance of 28-08.75. Cullman’s Bailey Hayes in 5th in boys' 6A shot put with a distance of 47-06.50. Cullman’s Ben Turner 23rd in the boys' 6A shot put with a distance of 37-00.00. Cullman’s Lexi Daily 12th in girls' 6A triple jump with a distance of 30-02.00. Cullman’s Will Thompson 11th in the boys' 6A 1600-meter run with a time of 4:42.34. Cullman’s Will Thompson 5th in boys' 6A 3200-meter run with a time of 9:55.34. Cullman’s Edgar Medina 10th in the boys' 6A 800-meter run with a time of 2:03.36. Cullman’s Adam Mangum 19th in the boys' 6A 800-meter run with a time of 2:07.36. Cold Springs' Jonathan Collett 10th in boys' 1A-3A 3200-meter run with a time of 10:59.29. Cold Springs' Seth Walker 11th in boys' 1A-3A 3200-meter run with a time of 11:05.59. Cold Springs’ Leo Sturzenegger placed 8th in the boys' 1A-3A high jump with a height of 5-06.00. Cold Springs' Ashleigh White 11th in the girls' 1A-3A 800-meter run with a time of 2:43.31. Cold Springs’ Reagan Parris 10th in the girls' 1600-meter run with a time of 6:04.85. Cold Springs’ Trentan Williams 6th in the boys' 1A-3A 1600-meter run with a time of 4:51.32. Cold Springs' Trentan Williams 3rd in the boys' 1A-3A 800-meter run with a time of 2:05.56. Cold Springs' Cole Akridge 5th in the boys' 1A-3A 800-meter run with a time of 2:09.38. Cold Springs’ Cole Akridge 11th in the boys' 1A-3A 1600 meter-run with a time of 4:53.68. Meek’s Celeste Welch 16th in the girls' 1A-3A 400-meter dash with a time of 1:09.13. Meek’s Celeste Welch 11th in the girls' 1A-3A high jump with a height of 4-02.00. Meek’s Jaycey Bowling 6th in the girls' 1A-3A pole vault with a height of 9-00.00. Meek’s Jaycey Bowling 12th in the girls' 1A-3A triple jump with a distance of 29-01.00. Hanceville’s Jonathan Hernandez 16th in the boys' 1A-3A 400-meter dash with a time of 57.62. Hanceville’s Aaron Brown 17th in the boys' 1A-3A 800-meter run with a time of 2:19.50. Hanceville’s Aaron Brown 4th in the boys' 1A-3A 3200-meter run with a time of 10:25.81. St. Bernard's Gracie Loyd 5th in girls' 1A-3A long jump with a distance of 15-09.75. St. Bernard’s Gracie Loyd 4th in the girls' 1A-3A triple jump with a distance of 32-09.00. West Point’s Shelby Sellers took 8th in girls' 4A-5A shot put with a distance of 29-08.75. West Point’s Joshua Couch ran in the boys' 4A-5A 60-meter hurdles with a time of 9:34.